An incredible card. 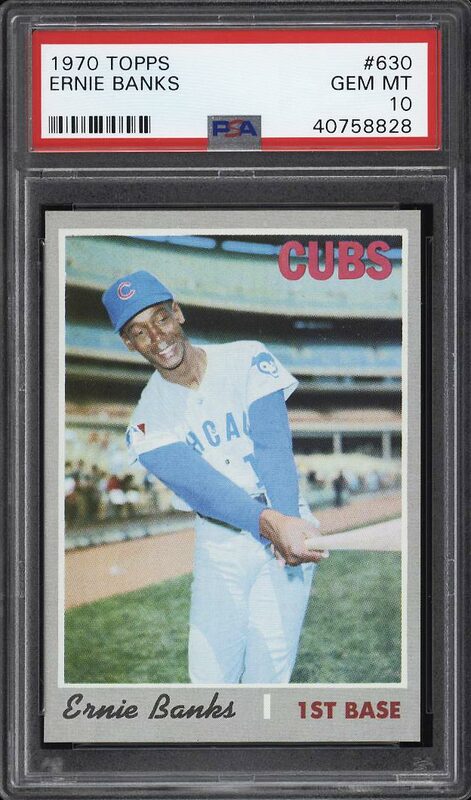 The offered '70 Topps Banks is just the second example awarded the illustrious designation in nearly 25 years of professional grading. A condition sensitive gray border issue which is rarely seen with flawless edges and blemish free borders. Dead centered with four untouched corners and undeniable GEM MINT surfaces. 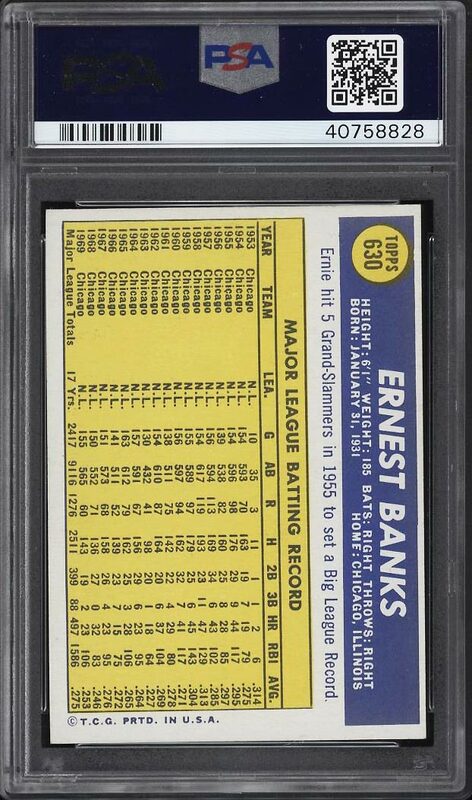 Banks is among the premier Baseball players in the history of the sport and perhaps the greatest Cub of all-time. The finest example to be publicly offered. Deserving of serious attention. One of over 18,000 cards, lots and sets up for bid in our 6th Auction of 2018. Click on the link above to view the other PWCC auction lots.